Why Are Date Fruits a Superfood? 2 Why Are Date Fruits a Superfood? "Super foods" hold disease-fighting power in the form of antioxidants. Eating antioxidants may reduce your risk of developing inflammation-associated diseases, such as heart disease or cancer, according to a review article published in the January 2005 issue of "The American Journal for Clinical Nutrition." 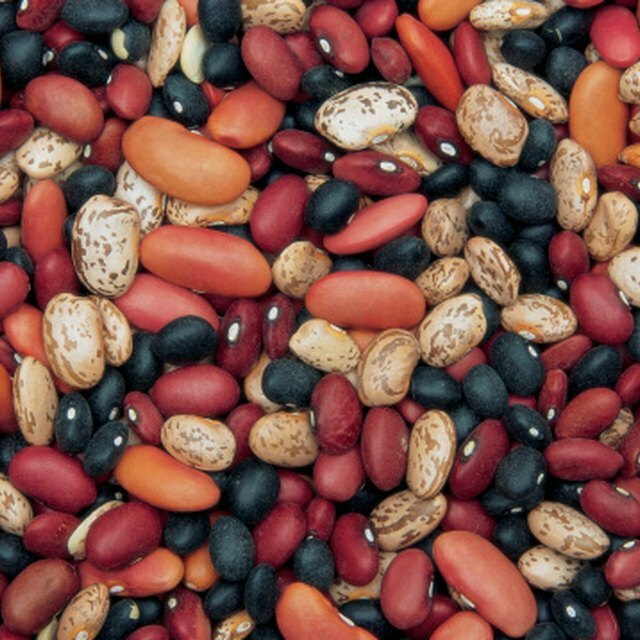 Many plant-based foods are an abundant source of antioxidants. Bilberries, black currants, wild strawberries, cranberries and goji berries are among foods with the highest antioxidant sources, according to the antioxidant database published in the January 2010 issue of "Nutrition Journal." For maximum antioxidant content and nutritional value, eat berries fresh, dried or frozen. A study published in the December 2004 issue of "Journal of Biomedicine and Biotechnology" demonstrated that there was no significant difference in the antioxidant activity among fresh, dried or frozen blueberries. Of over 400 spices and herbs, dried and ground clove have the highest antioxidant content, according to the antioxidant database. Peppermint, allspice, cinnamon, oregano, thyme, sage, rosemary and saffron follow in order of next highest. Surprisingly, some dried spices -- such as basil, chives, dill and parsley -- showed markedly higher antioxidant levels than their fresh counterparts. 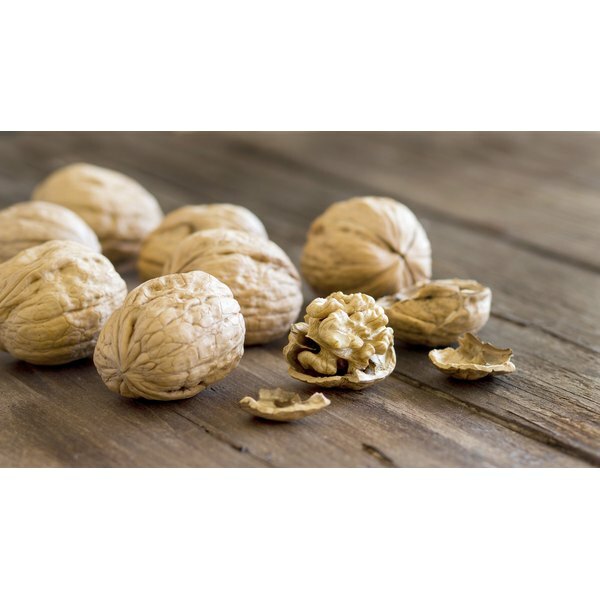 Tree nuts with the highest antioxidant contents are walnuts, followed by pecans and chestnuts. Interestingly, these and other tree nuts such as almonds and hazelnuts have higher values when the pellicle -- the thin tannin-containing skin -- is left intact. The antioxidant content of seeds varies from less than 1 millimole per 100 grams in poppy seeds to 6.4 millimoles per 100 grams in sunflower seeds, according to the antioxidant database. Combine dried berries, nuts and seeds into a "super food" trail mix for an antioxidant-rich snack. In prepared beverages, the highest amounts of antioxidants are within espresso and coffees, green and black teas, pomegranate juice, grape juice and red wine. Add a spring of mint to green tea for increased antioxidants. Vegetables with the highest antioxidant content include artichokes, curly kale, red and green chili peppers, red cabbage and red beets, according to the antioxidant database. Preserve antioxidant content when cooking vegetables by choosing methods that use little to no water, such as steaming, roasting or sauteing. Boiling and pressure cooking can cause the greatest antioxidant losses, according to the lead researcher of a study published in the March 2009 issue of the "Journal of Food Science." Use herbs such as oregano, thyme or rosemary when cooking vegetables to enhance flavor and increase antioxidant levels. Antioxidant content increases with the proportion of cocoa in a piece of chocolate. For example, results within the antioxidant database state that chocolate products with cocoa ratios of 24-to-30, 40-to-65 and 70-to-99 percent had average antioxidant contents of 2, 7 and 11 millimoles per 100 grams, respectively. Varieties of dark chocolate, in contrast to white or milk chocolate, generally contain higher percentages of cocoa and less sugar. Pair a piece of dark chocolate with a few walnuts and glass of red wine for a triple dose of antioxidants.